There was once a man who had two sons. 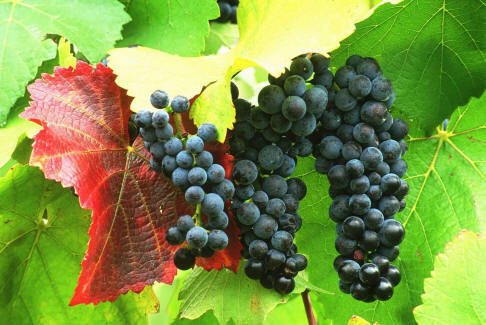 He went to the older one and said, “Son, go and work in the vineyard today.” “I don’t want to,” he answered, but later changed his mind and went. Then the father went to the other son and said the same thing. “Yes sir,” he answered, but he did not go. A little later, the father looks up from what he is doing and notices that the boy has changed his mind and is now working out in the field. His other son, when asked to work, politely said, “Yes, of course, father. Nothing would please me more than to work in the field for you.” Two hours later, the polite, seemingly obedient son is still lying on the sofa watching TV. Now think hard, says Jesus, which son do you think pleased the father more? The one who said no, but then went into action or the one who politely said yes but then did nothing? Those with children can identify with this scene immediately. It seems children come with the word “no” pre-programmed in them. You know how it goes. Where does this come from? It comes from Adam and Eve, the ones who first said “no” to God and “yes” to themselves and the devil who lied to them. That “no” is passed on like a genetic disease from parent to child, from one generation to the next. As children get older, the “no” turns into “Do I have to?” usually spoken in a whining tone that makes it doubly irritating. We are also familiar with the seemingly obedient child. “Clean your room”. “Okay, Mum.” And when mum comes back nothing has changed. We also know that this kind of behaviour is not restricted to children. We say “yes”, perhaps with a good deal of enthusiasm but never get around to doing anything about it. The Bible is full of stories about people who said “yes” but when it came to carrying out what they had said “yes” to that ended with a loud “no”. A couple of examples. At the foot of Mt Sinai the people of Israel said, “Yes, we will do all the things the Lord has commanded us.” Not long after they said “no” to God in the loudest and most defiant way possible. They made a golden calf, and worshipped it. The disciple Peter promised “Yes Lord, you can count on me, I will never deny you even if it costs me my life.” Not long after, he said “no” three times as he denied any connection with Jesus. The church leaders of Jesus’ time said “yes” to God but “no” to the one whom God had sent. We say “yes” to following Jesus, but when discipleship involves putting God and others first, being committed to joining in mission and ministry with my fellow disciples, the people of our church, putting aside everything else as less important to doing the work that Jesus has given us to do, we end up saying “No, this is just too hard”. We have said “yes” to the love of God, we enjoy God’s grace as we see it in Jesus; we like knowing that God’s love for us is so certain and unchangeable but we have said a firm “no” to offering a hand of friendship to the person who really gets us angry; we have said a firm “no” to forgiving a person who seems to delight in saying things that really gets us stirred up. We have said a firm “yes” to the new life that we received from God’s Spirit at our baptism, but the way we live our lives declares a loud “no” as we say “yes” to jealousy, anger, impatience, unkindness, sexual immorality, being nasty and uncaring. We have said “yes” to the whole idea of spreading the good news about Jesus and God’s love for people in every kind of situation, but when we look at how little we have done and what little enthusiasm we have for getting involved we realise that our “yes” has been nothing but a pious good intention. We have reserved the right to say “no” if too much is asked from us. We have shouted, “Yes, God is so good. Look at what he has done for us; how he gave his Son’s life because of his extreme love for us. Look at how he cares for us and our loved ones every day. Yes, I will give God praise and worship.” But after that initial wave of excitement we end up saying “no” to committing time to gather with our fellow Christians in worship; we say “no” to joining with others to thank and praise God. In Jesus’ parable the second son is an example of religious hypocrisy. Did you know that the word “hypocrite” comes from the Greek word for “actor”? Actors hid behind masks; they appeared to be something they were not. The second son appeared to be the good, obedient, perfect son. He pretended to be someone he wasn’t. He was an actor, a hypocrite. Jesus saw the empty, hypocritical “yes” of the religious people of Israel. “They preach but they do not practice what they preach,” Jesus said. They say the right things but they do the opposite. Those who were listening to Jesus as he told this parable got it right when he asked them, “Which one of the two sons did what his father wanted?” Not the son who said, “yes, yes, yes” and did nothing, not the son who heard exactly what his father wanted him to do, but instead had his own agenda listing what he would and would not do. How many times have our good and noble “yes” to Christ in our lives, and our “yes” to doing something because of our faith turned out to be fizzers? How many times have we heard a stirring sermon, heard an exciting talk and presentation, been to an inspiring seminar and enthusiastically said “yes” and went home and did nothing about it? Notice that I haven’t excluded myself from any of this and it upsets me to see this kind of thing happening in me – saying “yes” like the second son in the parable and doing nothing. It upsets me when I see this in a congregation – full of good intentions, enthusiastically passing resolutions at meetings and then waiting for someone else to carry them out. “Yes what a good idea, but no, I don’t want to get involved”. Seeing this side of ourselves is not a pleasant experience. We cringe, we deny it, we repent of it. We are thankful that the “yes” of Jesus’ love for us was more than words or a pious feeling. We are ever so grateful that Jesus’ “yes” for us meant action. We are great sinners, this is true. But Jesus is an even greater Saviour from sin. We have a Saviour whose “yes” for us led to his cruel suffering and death on a cross. His “yes” for us at our baptism meant that each of us, personally and individually through the water that was splashed on us, was graciously given freedom from all of our sin, and the love of God who has promised to go with us through all the ups and downs of this life. And then finally when our journey here is over to welcome us into eternal glory in heaven. As we come forward to receive Holy Communion we again hear God’s “yes” for us as we eat and drink the body blood of our Saviour. Yes, in spite of our sin we are loved. Yes, in spite of our hypocritical ways when we say “yes” but we really mean “no” there is forgiveness. Yes, even though we have so many good intentions to carry out God’s will in and through our lives, the perfect life, suffering, death and burial, resurrection and ascension of Jesus has given us a fresh start and a fresh opportunity to say “yes” and to mean “yes”. “yes” to greater involvement in worship, prayer and the work of God’s church. God saw that the people of Nineveh had given up their wicked behaviour. So he changed his mind and did not punish them as he had said he would. Most of us have a highly developed sense of justice. When someone does something that is outside of what we think is acceptable there are consequences. A farmer noticed a carload of people who had climbed his orchard fence and were not only eating his apples without asking permission but were putting some in a shopping bag to take with them. From a very early age we learn that when someone does something to hurt us in any way, the right response is to give back equally what was given. In some cases, maybe we give back just a little more to make sure they don’t do it again. If a terrorist who had been responsible for the deaths of hundreds of innocent people is captured and brought to trial I dare say most of us would like to see him get “what he deserves”. Just as he showed no mercy to his victims he doesn’t deserve any mercy now. He’s a monster whose life should be ended or locked up and the key thrown away. In today’s Old Testament reading we hear about Jonah who is having real difficulty with this whole matter of what is right and fair. In fact, Jonah is seriously cheesed off. You see, he thinks these Ninevites should be wiped off the face of the earth. They are God’s enemies; they are the enemies of God’s chosen people; they are notoriously wicked and deserve the worst that God could dish out to them. From the moment that God told him to go to Nineveh and warn the people that their wickedness would bring down God’s judgement on them, Jonah thought that this was all wrong. As far as Jonah is concerned, the Ninevites don’t deserve a second chance or any kind of mercy or even a warning that God’s judgement is near so he gets on a boat and sets sail in the opposite direction. His attempt to get away from God is futile. We know the story well. Jonah is swallowed by a big fish and in the belly of the fish he throws himself on the grace of God and experiences God’s love and mercy as he is given a second chance. 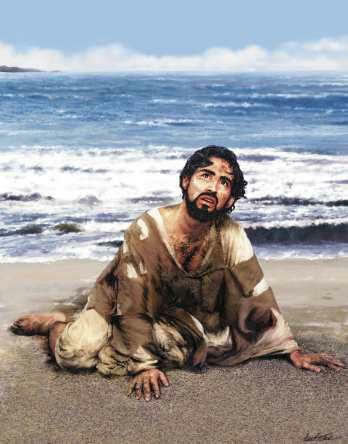 The fish spits him up on the beach and once again God tells him to call the people of Nineveh to turn away from their sin, turn to God, receive God’s forgiveness and mercy, and live. So when we encounter Jonah in today’s first reading he is not a happy. He is not happy about the Ninevites getting another chance, about God allowing them to live, when they are such wicked and evil people. Jonah wants justice not mercy. This makes Jonah so angry. First of all Jonah thought he had God all worked out. The rules were straight forward. He had learnt them as a child. He said it every day, “Israel, remember this! The Lord – and the Lord alone – is our God. Love the Lord your God with all your heart, with all your soul, and with all your strength” (Deut 6:4). In other words, if you worship false gods, do not obey the one true God, live immorally and violently like the Ninevites, you will be punished by God. How simple is that? But now it seems that God is changing the rules and the wicked are going to get away scot free. 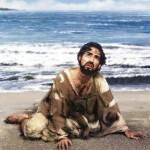 Secondly, Jonah was a Jew – one of God’s chosen people. But these Ninevites were nothing – godless, barbaric, wicked heathens involved in all kinds of deviant behaviour. They don’t deserve mercy; they deserve nothing less than God’s worst punishment. Besides what’s the point of being one of God’s chosen people if God was going to be gracious and forgiving to anyone and everyone, especially those whose lives and religion were so perverted and depraved. And thirdly, (and this annoyed Jonah more than anything and made him really angry), he firmly believed that God was unfair. Jonah thought the people of Nineveh were so wicked that they were beyond mercy and grace. For Jonah things were simple. People should get what they deserve. If they have been faithful and good then they should be blessed. If they have been wicked and perverted then they deserve to be damned. After Jonah had tried to run away from God Jonah was happy to receive God’s mercy but he resented God dealing with the Ninevites in a similar way. In Jonah’s mind the Ninevites were so wicked that there was only one way God should deal with them. No mercy; only punishment. It’s clear that Jonah was telling God how he should treat the people of Nineveh and thought he knew better than God what they deserved. What is more, he missed the point that God was free to do as he liked even if it seemed unfair and didn’t make any sense to anyone else. The Book of Jonah is well described as a book about mission – God’s mission to a Jonah himself. God is reaching out and teaching Jonah about grace and undeserved mercy. And so as you read this Old Testament story you begin to see that God’s real mission in the story is not to Nineveh at all! God could have sent anyone to deliver his message to them – probably a person more enthusiastic about mission work would have done a far better job and certainly someone who understood God’s grace a little better would have been a far more effective witness. God’s mission is to help Jonah understand that his grace is not selective (i.e. some people deserve it more that others) or limited (i.e. that God can love only certain people). 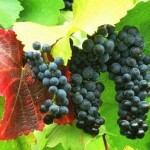 Jesus teaches this same lesson in his parable about the labourers in the vineyard. Remember how workers are hired at different times of the day to bring in the harvest. When the end of the day came and each worker was paid the person who worked all day received the same as the person who worked for only one hour. The point being made here is that this doesn’t seem fair at all. In our way thinking, people should only get what they deserve and no more. What God was trying to get through to Jonah and what Jesus was trying to tell his listeners was that God doesn’t operate by what is fair or unfair. God doesn’t use accounting methods to decide what we deserve. In fact, the word deserve doesn’t apply to the way God thinks of us because if God gave us what we deserve then we would all end up in hell. If God dealt with Jonah the way Jonah expected God to deal with the Ninevites then neither Jonah or the Ninevites would have been saved. Jonah would be judged in the same way he expected the people of Nineveh to be judged. The story of Jonah and the parable of the labourers in the vineyard tell us that God is generous, full of grace, and forgiving. He is ready to give second chances and in the case of Jonah third and fourth chances. We can add that God’s grace is persistent. It doesn’t give up. God rescues rebellious Jonah from the briny deep. and to top it all off he hangs in there when Jonah smoulders with anger and self righteous pity because all he can see is injustice and unfairness. We don’t know how Jonah responded. Was God’s mission to Jonah successful? Did Jonah finally understand God’s mercy and grace? Was this a turning point in his life and he repented of his hard-heartedness toward the people of Nineveh and let God’s mercy and grace control his life? Do we reflect the grace God has shown toward us in the way that we show love to the people in our lives? Do we reflect the grace of God when others have offended us? Do we reach out and seek forgiveness and reconciliation or do we pass off the rift that has happened with “It’s not my fault; he/she needs to apologise to me”. Do we reflect the grace of God in the way we treat those who are in some kind of need? Are we hard-headed and ignore their need, make excuses for our lack of empathy and action or do we strive to understand, be compassionate, and help in what ever way we can? Do we reflect the grace of God as we deal with difficult people – those who are hard to like, argumentative, opinionated, self-focussed or do we find it easier to brush them aside and declare that they require too much effort and emotional energy? Do we reflect the grace of God as members of the church when others lose their faith, adopt a way of life that is clearly wrong in God’s eyes, drop out of the fellowship of the church? Do we offer them our love, our help and support? Are we like Jonah – ready to accept God’s grace and to be cared for, comforted and helped by a loving God but refuse to pass this on the same care, comfort and love to others? We all struggle to reflect the grace of God in our lives and we often fail. The great thing about God’s grace is that it never gives up, it is always ready to forgive, restore and make new. May God’s grace truly make a real difference in our lives every day.Amen. I think you will agree with me that forgiveness may be one of the toughest things we as Christians are asked to do. And so we have Peter come to Jesus with a perfectly natural question. “Lord, if my brother keeps on sinning against me, how many times do I have to forgive him? Seven times?” This is a very important question. How many times have I been asked, “Do I have to keep on forgiving, if the other person keeps on hurting me? Wouldn’t you agree that there has to be a limit.” And that’s exactly what Peter is asking. He would have thought that his suggestion of seven times was very generous. We agree. We forgive a person, once, twice, three times, but four times – I don’t think we would still be friends after four times. The Jewish Rabbis said that to forgive three times was enough. Peter was doubling that and adding one for good measure. But Jesus surprises Peter with his answer. “No, not seven times,” answered Jesus, “but seventy times seven.” That’s a lot! And that’s exactly what Jesus was getting at. He’s not stating that after 490 times of forgiving someone we stop, but that there is no limit to the forgiveness we should be offering to those who sin against us. Jesus then goes on to tell this unusual story. A king wanted to settle accounts and close the books on some outstanding loans with his servants. He had one servant who owed him millions of dollars. The debt was so big the man would never hope to see the outside of a gaol cell ever again. Does that seem a bit harsh? Well, before you are too tough on the king remember the servant had been entrusted with millions of dollars. The king is exceptionally generous! What happened to all that money? To blow that much money the servant must have really lived it up. He wasted it all. No wonder the king is angry. The servant begged for mercy. I don’t know what plan he had in mind. There was no way that a servant could have rounded up that kind of money, no matter how much time he had. But the king in an amazing display of undeserved kindness simply forgave the debt, tore up the note, wrote “paid in full” on the books, and sent the servant on his way a free man. The servant got up from his knees, dusted himself off, and went out and found a fellow servant who owed him a few dollars, loose change compared with the debt the king had just written off. We might have expected a bit of kindness on the part of one who has just received his life back, a token piece of generosity in the direction of a fellow servant. Instead, the servant grabbed his fellow servant by the throat and demanded payment in full. And when he begged for the same kind of mercy and patience as the first servant had, he found himself thrown into debtor’s prison. Now when the king got word of this he was outraged and called back the servant. “I forgave you the whole amount you owed me, just because you asked me to. You should have had mercy on your fellow servant, just as I had mercy on you.” In his anger, the king had the servant thrown into jail until he paid off all the debt. Jesus concludes, “That is how my Father in heaven will treat every one of you unless you forgive other people from your heart.” Harsh words, you say. Startling words. How do those words make you feel, especially if you are harbouring a grudge against someone and withholding forgiveness. These are convicting and killing words. These words of Jesus remind us just how hard-hearted we can be. These words crush our hardened, unforgiving hearts so that his forgiveness might freely flow first to us and then through us to our neighbour. This parable is like a mirror. It points out the vast amount that we have been forgiven. We are the servants who have a debt that is so vast that it is impossible for us to do anything about it. Like the servant who owed so much that it was impossible for him to get out of the consequences of his foolish squandering of all that money, our sin has put us in an impossible position. Our rebellions, our selfish acts and thoughts, our bad choices, our lovelessness toward one another, and the hurt we have caused others, our pride, our anger, our lusts, our bitterness, our hates, and our lies; all these add up to a staggering debt we owe to God. A debt we cannot pay. This parable reflects our miserly notions of forgiveness compared with the extravagant and generous forgiveness that God gives to us. We have been forgiven so much but look at how miserable we are when it comes to generously forgiving those who have hurt us. In the long run our inability to forgive hurts us more than it hurts the one who has hurt us. A woman in her eighties told me that, fifty years before, her aunt had said something insulting to her, and this woman had never forgiven her. Fifty years later she could recount the event to the precise detail, and she felt all the same bitterness, anger, and resentment welling up within her as when it originally occurred. It was no wonder to me that, by this time, she had become a bitter, crotchety, quarrelsome, unhappy woman who could find no happiness in life whatsoever. Her inability to forgive had tortured her for fifty years. When we are no longer concerned about ourselves and how hurt we are, but are concerned about what our unforgiving heart and our need to get back is doing to someone else – that’s when forgiveness starts. The thing that makes forgiveness of others who have hurt us possible is the newness in our relationship with God, the refreshed attitude toward others and their weaknesses, the forgiveness and reconciliation that Jesus’ death on the cross has given to us. Paul says, “You are the people of God, he loved you and chose you for his own. So then, … forgive one another whenever any of you has a complaint against someone else. 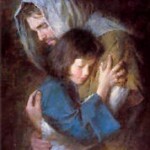 You must forgive one another just as the Lord has forgiven you” (Colossians 3:12a, 13). Can we not forgive a few dollars’ worth of injury, when we have been forgiven millions by God? On Christmas Day, 1974, 10-year-old Chris Carrier was kidnapped. When the boy was finally found, he had been burned with cigarettes, stabbed with an ice pick, shot in the head and left for dead. Miraculously, young Chris survived, the only permanent physical damage, blindness in his left eye. He went on to become a youth pastor in the Presbyterian Church. No one was ever arrested for this crime. Twenty-two years later, David McAllister – 77-years old, blind and dying in a nursing home confessed to the crime. Chris began visiting the man who had tortured him and left him for dead. Chris prayed with and for him, read the Bible with him and did everything he could to help David make peace with God in the time he had left in this life. For the Christian, forgiveness is always the last word. The forgiver always has the last word. We sin and Jesus forgives us. We sin again and Jesus forgives us. We sin and sin and sin and Jesus forgives, forgives, forgives. Forgiveness doesn’t come easy. It is hard work. It’s easy to make excuses, blame the other person, and justify our actions and attitudes. It’s easy to say it’s all his/her fault. I’ll just avoid him until he comes and apologises to me. It’s much harder to take the first step toward reconciliation, especially when you feel that you are in the right. Because forgiveness can be so hard, we need to enlist God’s help to overcome our sinful attitudes and to be more like Christ. We need to pray that we would have a greater concern for the welfare of others. How do we love?What is love? Is there a part of our bodies from which love comes?We often say the heart is from where love comes, but it is just an organ that pumps blood around our bodies. Some might think of the sexual organs, but our society is full of sexually active people still starved of love.Maybe love stems from the brain, but some of the greatest thinkers of the world live depressed lives because they have no love.How about the nervous system, the tingly feelings of touch and nurture?But the nervous system is just a heap of electrical currents running around the body.Is the organ of love the eyes, the ears, or the tastebuds?No!It has to be more.Perhaps it is the whole person from whom love evolves? Being honest though, we know that left alone by ourselves, love evades us.In fact, we don’t even know what love is, when we are alone! What we do know is that we all need love to survive in this world; a world starved of love.At the close of World War II a soldier was on sentry duty on the outskirts of London on Christmas morning.Later in the day, as he walked the city with a couple of his military mates, he came to an old grey building in amongst the ruins left by bomb blasts.On this building was a sign, “Queen Anne’s Orphanage”.He wondered how they might be celebrating Christmas inside, so he and the other soldiers knocked on the door.An attendant told him that all the children had lost their parents in theLondon bombings. Just like that little boy, we too want to be loved.We need to be loved. This boy starved of love, knew there was nothing in him capable of love.War had stripped all love from him, but he knew he needed to be loved.That too is our world – in desperate need of love.Not knowing how to find it, not knowing what it is, every person has a hole within needing to be filled with love.No organ produces love – not the brain, the eyes, the ears, nor the heart. So if love fulfils the law, how then can we love?Aren’t we like little children in the orphanage, unable to find love or even know what it is?Love must come to us from outside.When that soldier heard the words from that little boy, tears filled the man’s eyes and he fell to his knees with outstretched arms, took a hold of the boy and hugged him. Look at the arms of Jesus outstretched (picture Jesus Christ at Calvaryon Good Friday, and the crucifix on the altar) for you.This is how we know what love is: Jesus Christ laid down his life for us. (1 John 3:16)Even greater than the sacrifice the soldier made for the little boy is Jesus’ sacrifice for us.We are orphans adopted by the Father through the sacrifice of his only Son. So God loves us and in him we know what love is.Love is not something that begins with us, but we need it so much to survive.We have received God’s love because he sent Jesus to die for us and then raised him from death.The love of God is now with us; God has sought us out from amongst the ruins of this life.Jesus is the soldier doing sentry duty, standing guard over us. So then how does God’s love come to us?It comes though people; in a very special way through the office of a pastor, and also through all of us in the priesthood of all believers. We heard last week Jesus tell Peter to, ‘Get behind me Satan!’And we know that Peter denied Jesus three times just prior to his crucifixion.But it is what Jesus says to Peter after his resurrection which addresses love in our context today.In fact it tells us how the fulfilment of love in Christ on cross is given to all of us orphans, adopted by God. Three times Jesus asks of Peter, ‘Do you love me?’, and Peter says, ‘Yes Lord, you know that I do.’But what does Jesus say to Peter in response to Peter’s confession of love?‘Feed my lambs, take care of my sheep!’If Peter was to love Jesus he was going to love him through loving others. God was calling him to allow Jesus to stand guard over others through him.Peter was called to take his post and do sentry duty on behalf of Christ. After all of Peters failures and they continued right through his life, even after Jesus ascended into heaven, Jesus calls Peter to love.You see Jesus won forgiveness for Peter’s sins on the cross and he has won forgiveness for your sins too. 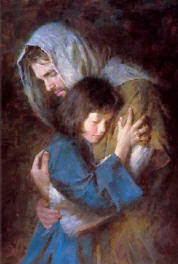 We can love ourselves and others, with the love that comes from God, in his Son Jesus Christ.Through means given by pastors—forgiving of sins against God, preaching, baptising, and administering Holy Communion—and also through people praying and forgiving each other, plus through all our other wholesome vocations God gives love. Christ is present in your whole being and no matter what we are called to do God gives us the ability to love other people.God lives in us standing watch over us and through us over others too. That little orphan boy had no way of knowing the soldier was going to walk into his orphanage and give him the loving hug he so badly needed.Jesus finds us and gives us the hug of life, when we had no way of finding love or knowing what it was. So how do you think all those lost from God, might come to know his love?God loves us, he loves all people, and because Christ lives in you and me, even while we still struggle with sin, God wants to love others through you and me too.Jesus Christ, himself, stands guard in us and through us, seeking out the lost to love. Amen.